Coquettish cuckoldry and delightful Ditties! Georgian stilt walkers Lord and Lady Befuggered-Lightfoot and Flossy their buxom maid will grace your event. The 18th Century style, Georgian / Regency costumes are beautiful and colourful. 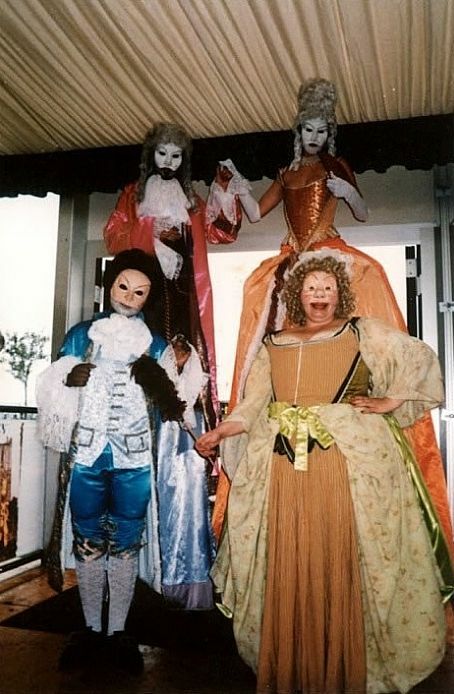 These Georgian Costumed Stilt Walkers are a highly visual and comic act with ‘opera-ish’ singing, cleaning up the guests and tones of flirting. This act is very visual with colourful costumes produced to an extremely high standard and is a comedy-based walkabout. There is lots of high drama, heaving bosoms, falling in and out of love with members of the audience, recriminations and making-up, (bad) operatic style singing, Flossy cleaning the audience before they meet the Lord and Lady and tonnes of flirting. 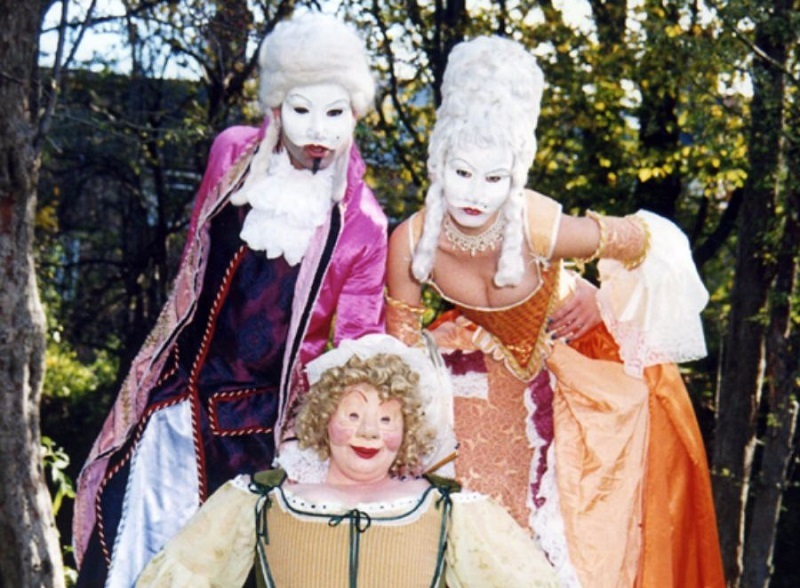 The Restoration consists of two 18th Century style stilt walking characters – the Lord and Lady and one ground based character – Flossy, their maid. 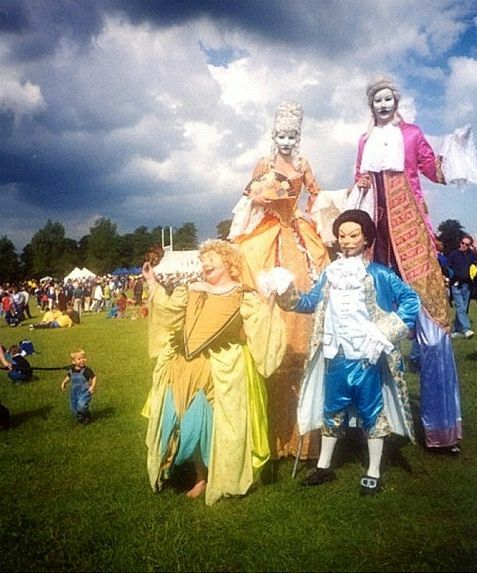 The Restoration’s 18th Century style costumed stilt walkers are perfect for “making an impact” at family days, festivals, parties, balls, corporate events etc. They will require a suitable area to put on stilts. Unfortunately this act cannot be performed in wet weather. The Georgian Costumed Stilt Walkers act is available for 3 x 30 minute shows and walkabout.